In honor of Veterans Day this year, Boot Campaign, a national non-profit organization providing life-improving programs to veterans and military families nationwide, is encouraging people across the United States to walk a mile in a veteran’s shoes – literally – by wearing combat boots to work, to school and around town during the organization’s “National Boot Week,” Nov. 6-11. 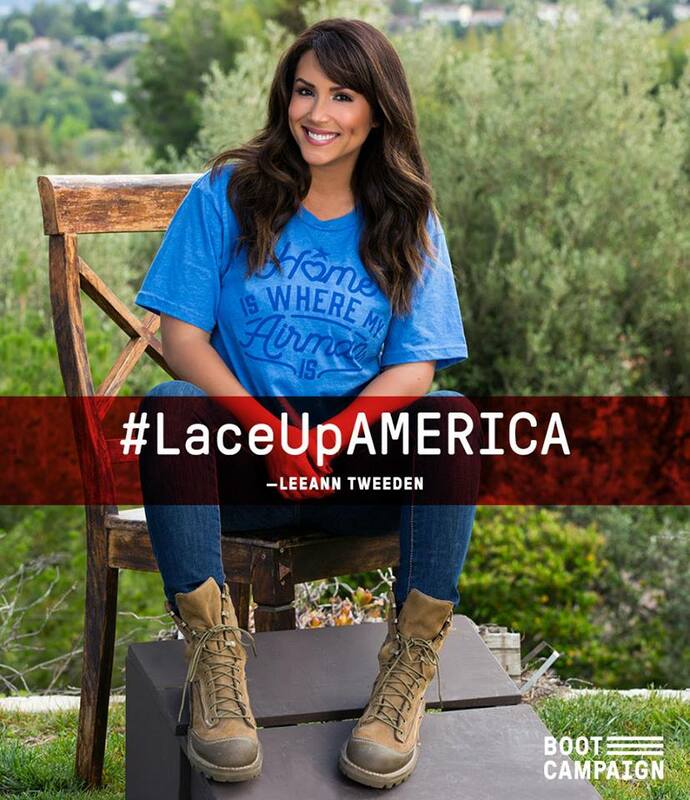 Celebrities from Michael Strahan to the Backstreet Boys to TV/radio host Leeann Tweeden to action sports athlete and Nitro Circus ringleader Travis Pastrana, philanthropist T. Boone Pickens and National Crime Stopper John Walsh will lace up their boots and share their photos on social media as part of the “Lace Up, America!” effort to visually honor veterans the week leading up to Veterans Day. 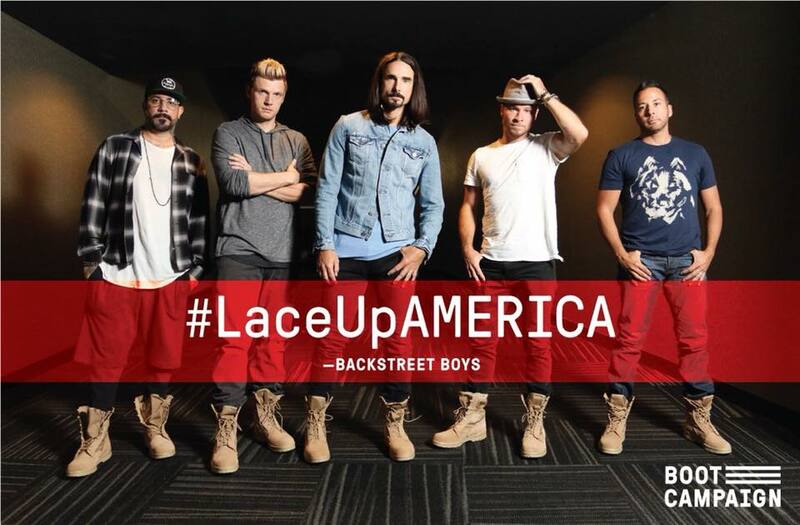 Kirkland says the goal is to create a national groundswell of support by having people post themselves in combat boots using their “Lace Up, America!” Facebook frame and hashtag #laceupamerica during National Boot Week, then wear those boots around their community to show support for our troops. “Veterans Day is a celebration of those who have served unselfishly to defend our country in the past, present and future. I want them to know we love them, we appreciate them, and we’re behind them. 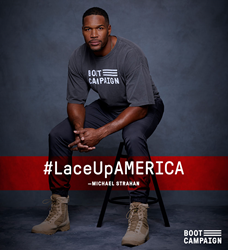 To sign up and go somewhere and put your life on the line for people you will never meet…you need to be honored for that.” says Michael Strahan. 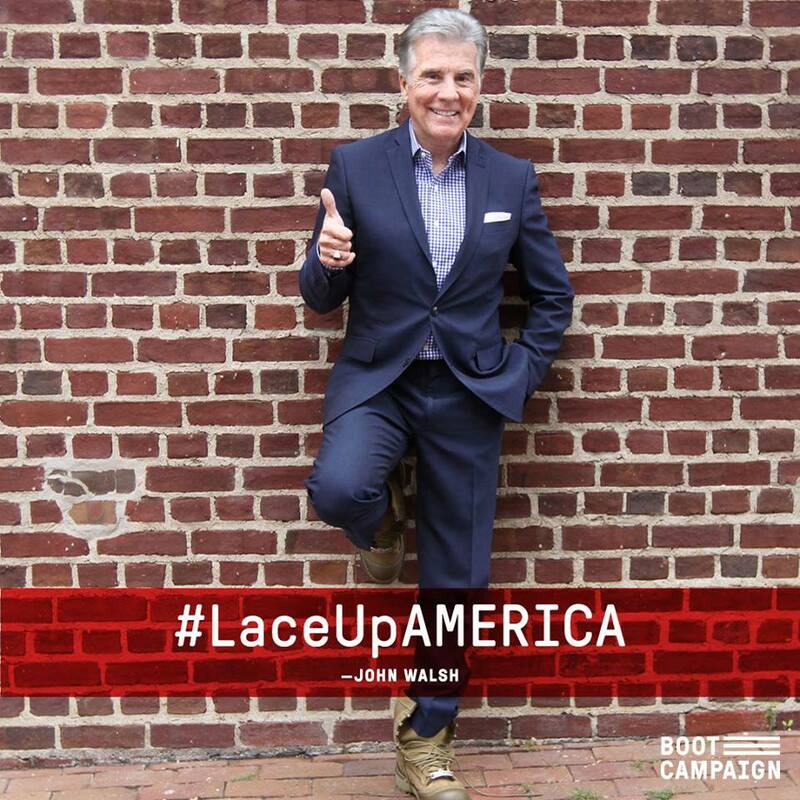 Established in 2011, Boot Campaign is a national non-profit organization dedicated to igniting the inner patriot in all Americans and providing life-improving programs to veterans and military families. Retail sales of combat boots, apparel and mission-focused merchandise, donations and corporate sponsorships fund our efforts to support military personnel who have endured significant physical, emotional and circumstantial hardships resulting from their service and sacrifice. 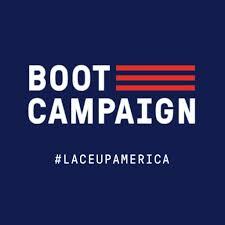 Accredited by the Better Business Bureau, 80% of Boot Campaign expenditures go directly to programmatic offerings to meet the mission. 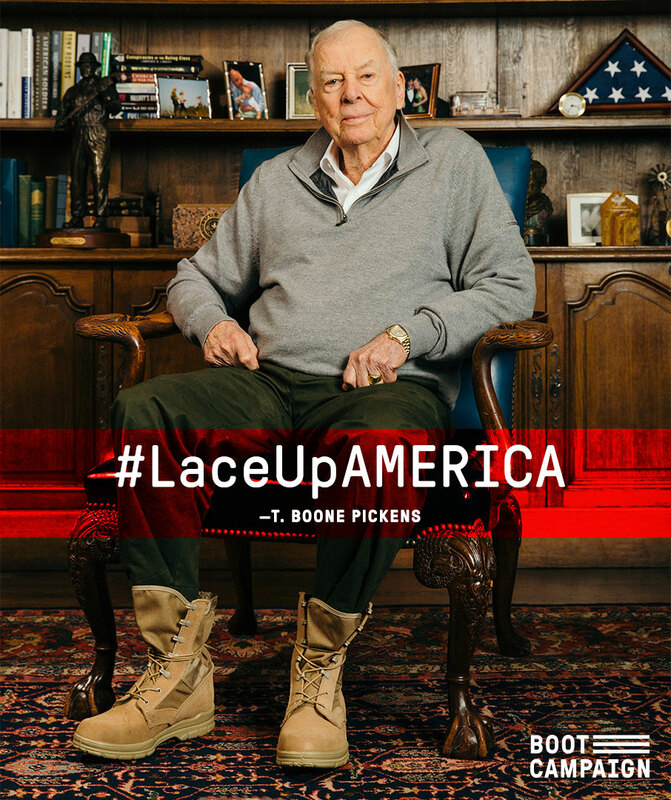 To learn more about the Boot Campaign, visit bootcampaign.org, like us on Facebook, and follow us on Twitter and Instagram.